Order Your Custom Helmet Stickers Now! 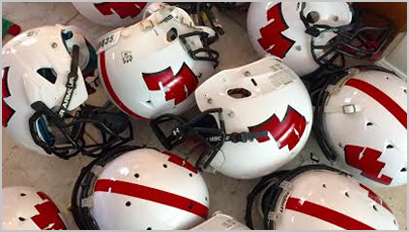 Helmet stickers have become a football tradition since first used by Miami University and Ohio State football teams in the mid-60s. With the rise of televised college football, nearly every major school now offers their version of helmet stickers. Also known as reward decals and pride stickers, they are given to players for performing well either on the field or in the classroom. They are a great incentive for sports teams of all ages, sport types and skill levels. AZ Banners produces high-quality, die-cut stickers for helmets that will last season after season. Rugged waterproof designs prevent curling or tearing. Photo-quality graphics and bold colors ensure that every sticker will be visible from the sidelines. We inspect every decal sheet prior to ship for printing mistakes or defects. 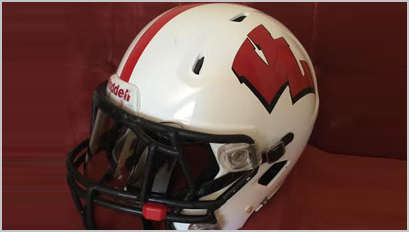 Whether you have print-ready graphics files or you need help creating some, we are ready to get started producing your helmet sticker printing job today. Minimum order requirement of $40. We will reply to your quotation request or order request within one business day. Durability - Premium decals to last 3+ years outdoors. In order for us to accurately determine shipping costs, please provide the city and state to which your order will be shipped.